Preventing and eliminating acne scars is yet another great concern shared by acne sufferers all in addition to the day-to-day agony inflicted by acne itself. It appears that many acne sufferers are more troubled by the consequences of their blemishes, e.g. acne scars and lesions than from their acne. The main logic behind this phenomenon is that acne is in most cases and is perceived to be a temporary event whereas most acne scars are thought to be permanent. Although there are effective acne scar treatments available today, there are types of acne that can cause deep scarring which cannot be completely eliminated. That is one of the main reason why it is so important to prevent acne scarring in the first place to avoid permanent scars, the costs and the emotional stress involved in treating and living with acne scars. In this report I will discuss types of acne scars, how to treat and most importantly how to prevent acne scars by fixing the internal cause of your acne. It has been studied that most acne scars result from severe acne, usually cysts and nodules, which occur in deeper layer of the dermis. Scars can also be caused by a skin injury as a result of picking the skin, by overgrowth of skin tissue, by cystic acne that penetrates deep into the dermis or as a result of an infection. Some studies have also shown that some acne sufferers are more prone for scarring than others regardless of what type of acne they had. Acne scars are often the end result of a skewed wound healing process: when a response to inflammation, improper collagen deposit, rebuilding elastin, the formation of new capillaries and anabolic and catabolic phases are all part of the healing equation. Be that as it may, acne scars, should be treated as early as possible to prevent permanent damage to the tissue. Basically there are two types of acne scars. The first type is an increased skin tissue formation and the second type is when there is a loss of skin tissue. The most common acne scars characterized by increased skin tissue are Keloids scars. Keloids are firm, irregular shaped scars that are usually smooth and are formed when the cells produce too much collagen as part of the healing process. . It is known that people with dark complexions are more prone to develop keloids. Acne spots: these acne scars are characterized by some type of discoloration of the skin to red or brown. Acne spots often fade away naturally or with the use of topical scar treatments. Post inflammatory hyper pigmentation, which usually appears after a breakout, also fades away naturally, but to accelerate the process some have used MSM with great success. Ice-pick lesions: these acne scars share the resemblance to cuts on ice made by an ice pick. They can be superficial or deep and the most common place these acne scars turn out is the cheeks. Ice pick scars are more resistant to treatment than discoloration scars. Depressed fibrotic scarring: these acne scars are rigid and white and often result from deep nodules. They have sharp margins and steep sides. Atrophic scar macules: These acne scars are white colored, small and soft and distensible. There are other types of acne scars like boxcar scars which are have round indentations and vertical edges and rolling acne scars which are the result of an adhesion of skin surface to the subcutaneous layer. Although most acne scars tend to fade away in time (like Post inflammatory pigmentations), some acne scars are more resistant and the only way to make them less apparent is by using some sort of acne scar treatment, from topical treatment to surgical cosmetic intervention. Each type of acne scar requires a different scar treatment. Some scars require the combination of several acne scar elimination methods to maximize results. There is myriad of treatments for acne scars and they include: pulsed laser technology, dermabrasion, chemical peels, laser resurfacing, punch techniques, collagen injections and creams. Collagen injection is an acne scar treatment where skin collagen is injected under the skin. It is suitable most for soft scars, which are either shallow or deep. The results of collagen or fat injection are short term as they should be repeated every 6 months, Collagen injections have some side effects as incorrect positioning and allergy reactions. Microdermabrasion is an acne scar treatment involving the passing of tiny particles through a vacuum tool aimed at scraping the external top layer of the skin. The process of scraping stimulates and enhances new cell growth. Microdermabrasion is effective only with mild scarring. Laser resurfacing is a process in which laser is used to flatten and resurface the skin layer so that scars will become more even with skin surface and therefore les apparent. Laser resurfacing can cause side effects such as increased redness, infection and even aggravated scars. It has been studied that old acne scars respond less to laser treatments than newly formed acne scars. Punch grafting is a procedure that involves the cutting of the acne scar all the way down to the layer of fat and then using a small skin graft stitching the hole. MSM, and Alpha lipoic acid acne cream have been used with great success for post hyper pigmentation marks. Ice pick scars are treated by dermabrasion or laser resurfacing. Flat or thin scars usually require Collagen injections, which is not the recommended treatment for ice pick scars. As for keloids acne scars, they are usually treated with steroid injections, pulsed laser treatment combined with carbon dioxide laser vaporization (when the keloid scar is not so thick or red), silicone gel dressing or crytotherapy. The best and probably the cheapest most effective way to avoid all the costs and side effects of acne scar treatments is to get rid of your acne in the first place. The only way you could ever cure your acne permanently is by fixing the internal cause of your acne and not by using conventional medication, steroids, over the counters or topical acne treatments. If you fix the deep internal factors that are causing your acne to form in the first place, you will surely prevent any acne scarring and the costs and treatments involved in trying to eliminate them. Although acne form of the skin surfaces and so do acne scars as a result of acne, acne is not a problem with your skin, but with your deep internal balance. 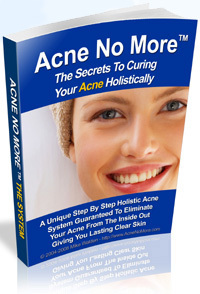 The cause of acne is internal and so is the internal cause of acme scarring. You have the ability to eliminate acne scars before they form by stopping the process of acne formation from the root. Only this way you will be able to enjoy lasting acne freedom with no fear of acne scars and their heavy emotional and esthetic consequences.